Heading to Mayfair this March, Lucknow Social is the latest restaurant from the team behind Soho's DUM Biryani House. Founder and executive chef Dhruv Mittal has taken inspiration from the Awadhi cooking popular in the city of Lucknow, India, to craft a menu of delicious kebabs, slow-cooked curries and fluffy biryanis. Located on Maddox Street, just a short walk from both Oxford Circus and Bond Street, this new restaurant is sure to tickle more than a few tastebuds with dishes such as melt-in-the-mouth lamb galoutis and kakori kebabs, alongside their lamb nick korma, cooked low and slow and laced with saffron and a touch of spice. 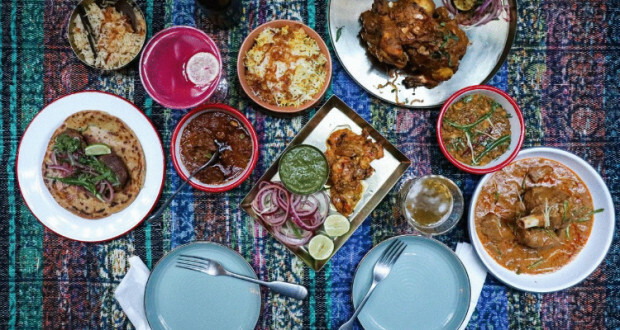 Perfect for washing down the dishes, Lucknow Social are also working with Hackney Brewery to launch their own bespoke beer, bringing you the ultimate curry-and-a-pint pairing. The interiors too celebrate India with a mix of rustic spaces and a modern industrial eye. Guest will subsequently be dining off colourful enamelware in the surrounds of a living plant wall, vintage textiles and a soundtrack of acoustic Indian music, chilled-out beats and Urdu pop.